SYFY and Alamo Drafthouse are partnering to bring you the SYFY25 Screening Series, a fun-filled retrospective of genre classics that celebrates the network's upcoming 25th anniversary. It's all about merchandising! Spaceballs-the T-shirt, Spaceballs-the Coloring Book, Spaceballs-the Lunch box, Spaceballs-the Breakfast Cereal Spaceballs the MOVIE PARTY! Never before has "they've gone to plaid" looked finer (or funnier). Seriously, this is the space spoof to end all space spoofs -- everything from STAR WARS (natch) to ALIEN, 2001 to PLANET OF THE APES all get brilliantly skewered. Add to that a legendary cast that includes John Candy, Rick Moranis, Bill Pullman, Dom DeLuise, Joan Rivers, Brooks himself and, well, you've got a movie that you quote and replay in your brain pretty much endlessly. Do your brain a favor and see it again large, loud, and awesomely laugh-inducing on the big screen -- while letting all your favorite quotes fly along with a whole theater full of lifelong fans. 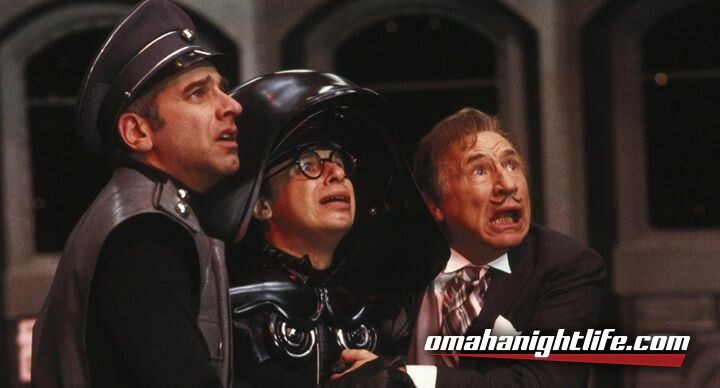 Not to mention, SPACEBALLS-THE PROPS! We'll have Schwartz Rings, Combs, and Noisemakers to use to help us bring the full power Mel Brooks' brilliant farce to vividly to life inside the theater. Until then "May the Schwartz be with youuuu...ohhh what a world, what a world."